Have you ever tried washing your face with honey? Would you believe me when I say that it is great for balancing skin oil levels and preventing pimples, acne and other skin issues? Keep on reading to hear about a truly innovative facial wash that will truly transform your cleansing experience! 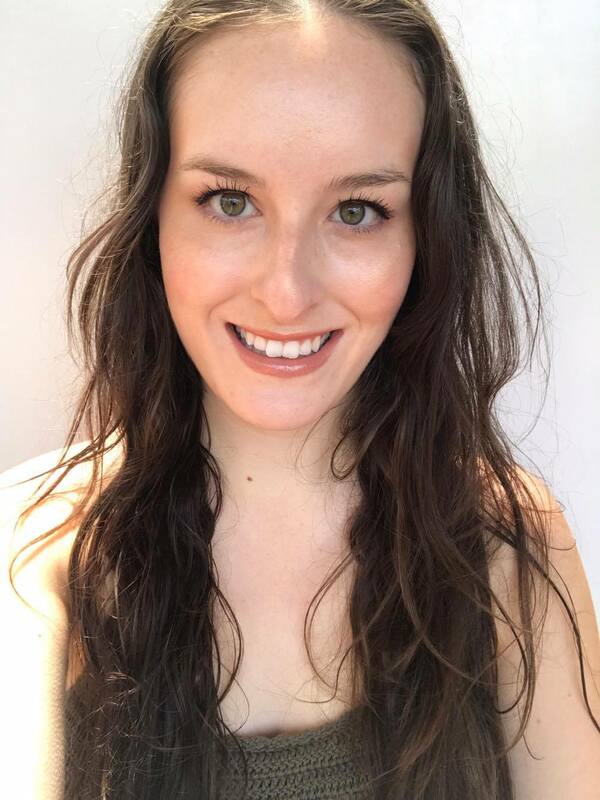 I was recently introduced to Almost Peggy; an Australian brand that have created a face cleanser made almost entirely out of raw, Australian honey that is great for acne, blemishes and optimal skin health. Face Honey contains a base of raw, Australian honey mixed with bi-carb, agar agar, grapeseed oil and a blend of beautiful essential oils. Face honey is 100% free of synthetic and petrochemicals, paraben-free, and has no nasty SLES, meaning your skin can ditch the chemicals completely! Face honey has antibacterial, antimicrobial, antioxidant, anti inflammatory properties and a high linoleic acid composition, meaning you can shut the front door on acne causing bacteria! Whether you have dry or oily skin, Face Honey works to restore your skin's normal oil balance. This cleanser also contains ingredients that provide a gentle daily exfoliation to unclog your pores, shed yesterday’s nonsense and say hey there to a soft, clear and nourished complexion. Full ingredients: honey. sodium bicarbonate (bi-carb soda). vitis vinifera (grapeseed) oil. Gelidium cartilagineum (agar agar) red seaweed alage. citrus sinesis (sweet orange) peel oil. cedrus atlantica (cedarwood) bark oil. citrus aurantifolia (lime) oil. citrus bergamia (bergamot) oil. boswellia carteri (frankincense) oil. cananga odorata (ylang ylang) oil. pelargonium graveolens (geranium) oil. 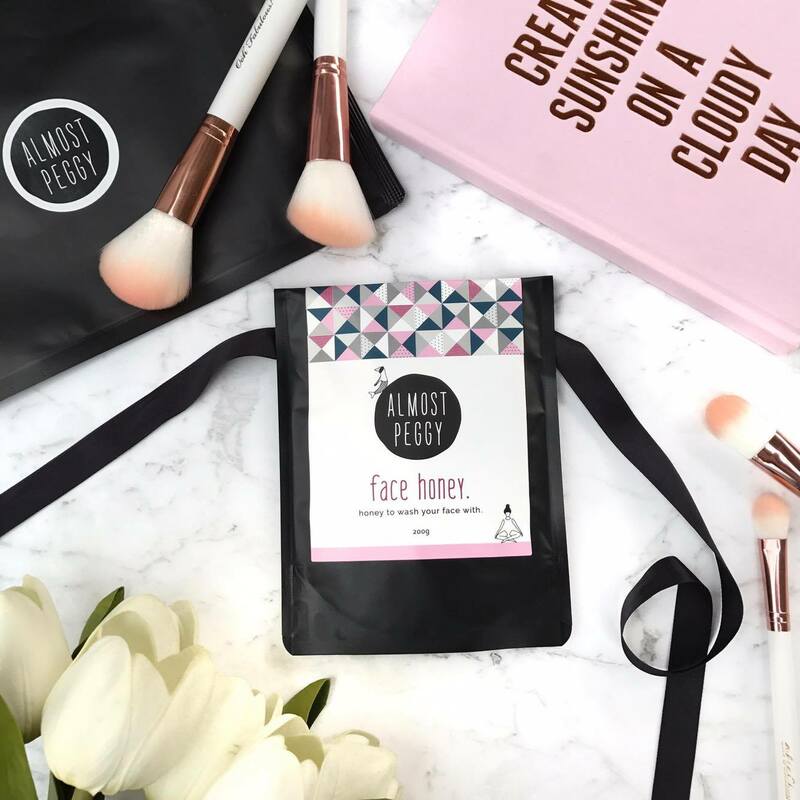 To use Face Honey, I first remove any heavy eye makeup (if I am wearing any) with a makeup wipe. I then grab a dollop of honey from the bag and massage thoroughly into my damp skin. I find the damp face is key as it takes the stickiness away from the honey and allows it to be easily spread around the face. I then rinse off completely with water - it is easily washed off! 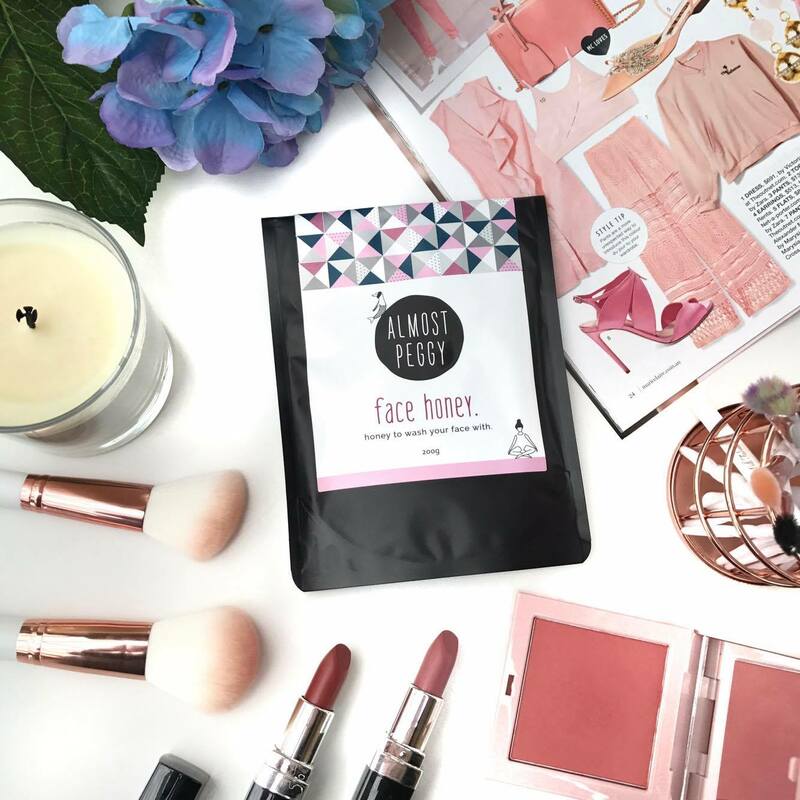 I love Face Honey and find it a great option for those looking for a natural cleanser that is nourishing and effective on their skin! Almost Peggy offers free shipping Australia wide! Head to their website to purchase. This mask sounds so interesting, I'm so excited to try it! I am really loving products with honey as an ingredient lately, they just leave my skin feeling so good!